Uniting driver, vehicle, and the world beyond. 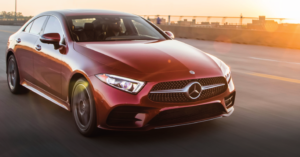 With Mercedes me connect, the newest generation of connectivity helps you stay in sync with all 2019 or newer vehicles. Take advantage of the latest connected car services today. Mercedes me connect lets you start the engine, lock or unlock the doors, or send an address to your in-vehicle navigation, all from your computer or phone. Plus, you can view current data like mileage, fuel level or tire pressure, and monitor your vehicle’s location in real-time. Feel safe and secure at every turn with Mercedes me connect. Features include maintenance management and telediagnostics for improved servicing, as well as accident recovery, 24/7 emergency call services and more. Because taking care of your vehicle and those inside is what matters most. Concierge Service from Mercedes me connect offers personal assistance at the touch of a button. Get help with travel arrangements, reservations, ticket purchases, reminders and more. For virtually any request, your Mercedes-Benz Concierge is there. To make your ride even more satisfying, entertainment features from Mercedes me connect provide Wi-Fi Hotspot for up to eight devices and TuneIn® Radio, which offers thousands of stations, podcasts and playlists to keep you fully entertained on the journey ahead. Contact your dealer to activate services or visit mercedes-benz.ca/en/owners/mer­cedes-me. Download the app today on the App Store and Google Play™. The Mercedes me connect app gives you access to your connected vehicle features.